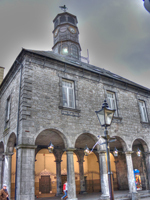 ﻿ Using The Woodstock Arms Bed and Breakfast as your accomodation base for your trip to Kilkenny be assured there are lots of things to do in and around the village of Inistioge. 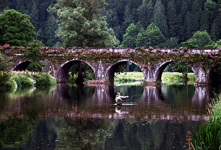 There are lots of things to do in and around the village of Inistioge. 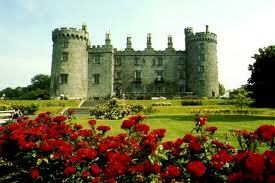 If you are using the accommodation at The Woodstock Arms bed and breakfast as a base for your trip to Kilkenny and the south-east of Ireland you will find an array of things to do near the village and also in the surrounding towns and cities. We have listed just some of the many things to do below starting with the activities nearest The Woodstock Arms B & B along with links (where available) to the sites where you will be able to get full information on what you can do while staying at The Woodstock Arms bed and breakfast. We must point out that this is a guide (complied by us, our visitors and local patrons of The Woodstock Arms bar) and while we do our best to give information on these different services we cannot take any responsibility for your experience with any third party listed here. On saying that we think that whether you are interests are in sport, the arts, family activities or heritage to name just a few you will find The Woodstock Arms B & B a good base to reach all of the activities listed below. If you have stayed at The Woodstock Arms bed and breakfast and have done any of these activities or have done something that is not listed here and would like to recommend a business or service that you think should be added here please feel free to let us know using the CONTACT US page giving as much information as possible about your experience. The Inistioge/Thomastown area is the heartland of craft in Kilkenny and as such there is a very large selection of restaurants in the area and in Kilkenny city itself, offering some of the best meals to be got in almost every cuisine available from your basic Italian chip shops to luxury restaurants (most of which appear in the Bridgestone guide books). Love golf? Many of the visitors to The Woodstock Arms B & B are coming to stay in the bed and breakfast because of it's location in relation to a lot of golf courses in the area (most within an hours drive of the accommodation at The Woodstock Arms bed and breakfast) some of these include the famous Mount Juliet golf course, Kilkenny Golf course and New Ross golf course to name just a few! If you would like more information about golf courses near The Woodstock Arms it is worth visiting the golfing Ireland website which can be reached HERE and it gives lots of information about courses and golf packages for all abilities. You can also get lots of information about golfing in Ireland from the official Irish tourism board by clicking on the link HERE including up coming tournaments, special offers and golf passes. 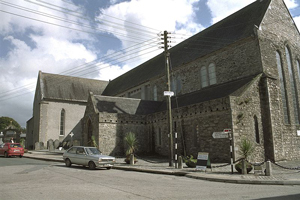 Inistioge village and most of Kilkenny city and county are steeped deeply in the history of Ireland, so much so that it is currently the home of The Heritage Council of Ireland; on their site you will find information about archaeology, architecture, museums and archives, marine, wildlife, inland waterways and much more. 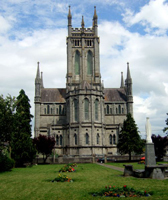 Other helpful places to look before staying in the accommodation at The Woodstock Arms B & B is the world heritage site for Ireland which can be found HERE and also the Heritage Ireland site which can be found HERE. 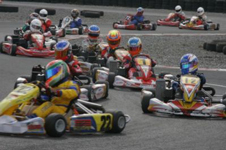 Junior and Senior karting is available nearby on the Kiltorcan raceway just a short trip from The Woodstock Arms B & B. Check out the track and prices HERE. 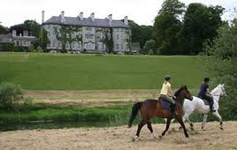 Adult and children's horse riding lessons are available near The Woodstock Arms at the Mount Juliet facilities. You can get more information from their site by clicking HERE. 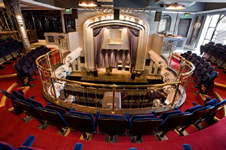 Visit Kilkenny while staying with us at The Woodstock Arms and take advantage of the three great theatres in the city. 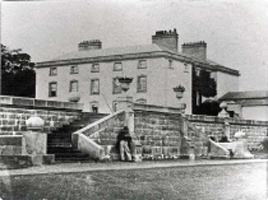 The Watergate can be found HERE, the Set HERE and Cleere's HERE. 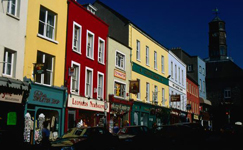 The South-east region has excellent shopping areas all within 30 minutes of The Woodstock Arms in Inistioge. 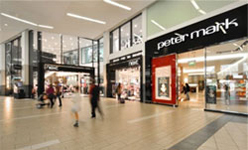 The main ones being New Ross and Carlow Town centres each having a range of shopping centres and small boutique shops. 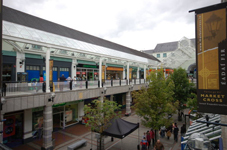 But the main shopping area is Kilkenny City with several large shopping centres such as the Market Cross and MacDonagh Junction along with it's busy High Street shopping district.